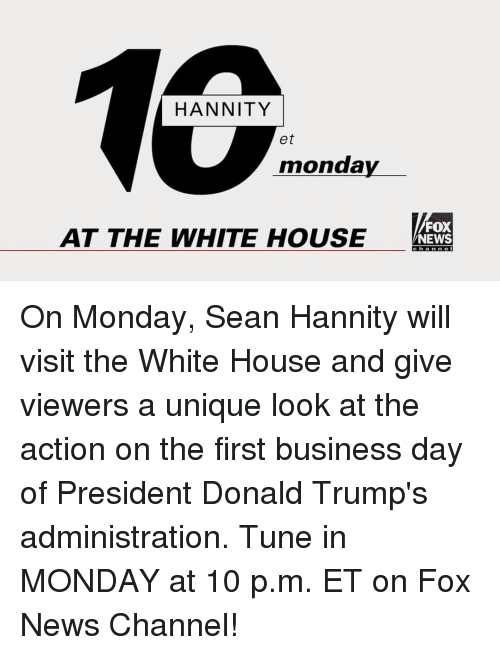 On Monday, Sean Hannity will visit the White House and give viewers a unique look at the action on the first business day of President Donald Trump's administration. Tune in MONDAY at 10 p.m. ET on Fox News Channel!